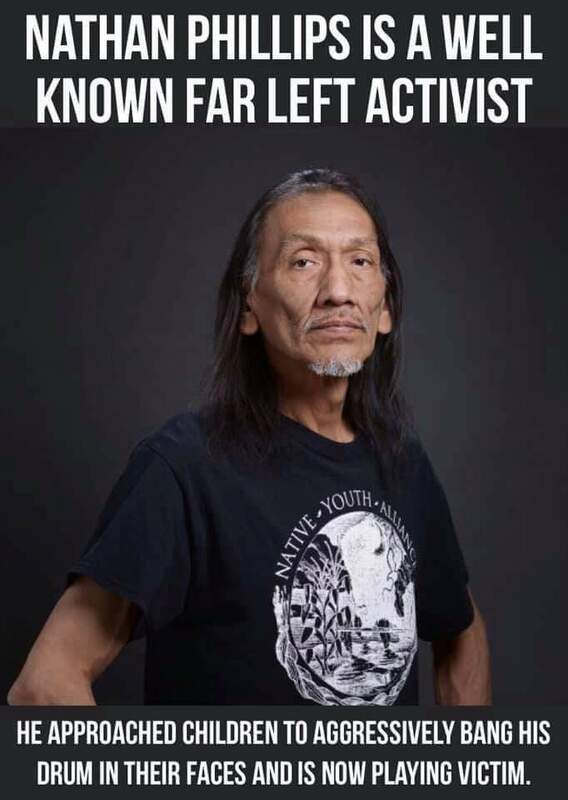 # the reports that everybody in the mainstream media jumped all over about teenage Catholics at the Lincoln memorial supposedly harassing a native American. Mister Fake but Accurate himself wrote to that story, even 24 hours after it was totally debunked, complete with video. In both cases, the stories were proven to be outright lies within 24 hours. And yet, the supposed mainstream media managed those stories on the air until such time as they drilled it into your heads that ‘orange man bad”, “Republicans bad”, “anyone that isn’t a Democrat is a Nazi” and so on. Thing is, precisely none of it is true. Both stories have been revealed to be complete fabrication. However, the leftist media proceeded to run these stories so the next 24 hours long after they were disproven. Congressional Democrats chimed in, singing the same song they’ve been singing since Eisenhower was president, “the impeachment blues”. And of course in the midst of all of this we see Dan Rather opening up about how what happens there is the parents fault, that these kids have not been taught any decency and so on. Again, his comments came well after the story was proven to be false by video. The fact of the matter is that Mr. Fake but accurate has struck again. This story was debunked almost 24 hours before Rather posted this piece. Then we end up with this thing at the Lincoln memorial, where a Democrat activist and someone who was pulled this kind of stunt several times now goes after a bunch of teenage kids, and the leftist media makes them out to be the villains. After all, anyone who isnt a Democrat is a Nazi. Mr. Fake-but- accurate jumps on… guess which side? Go ahead mr. Rather, tell us all about how the news media isn’t biased. How are you guys aren’t willing to lie to support your political goals. I’m sure I got banned for speaking the truth, but I’ll take that as a badge of honor from that kind of slime. ….and no I’m not giving the man any respect whatsoever because he deserves less than respect. And, the new generation of supposed news people have learned the lessons from him all too well. and there’s only one place it comes from these days. One of the most chilling aspects of the hatred fanned by the duplicitous reporting on the videotaped incident regarding the Covington students and the 60-something Native American has been the venomous rage directed against the face of one of the students, as well as the conclusions drawn about the expression on the face and what it might signify about the person. . . .
“Bullying” doesn’t even begin to describe what has been done to Sandmann by supposedly responsible and thoughtful adults. Even if the original story of what occurred had been true—and it was most definitely not—the depth of the rage would be way out of line. . . . This hatred is bigoted and prejudiced, pure and simple. The hatred’s origins lie not just in the work the media had undertaken to shape its audience towards feeling this hatred—although that is most definitely part of it—but it also is an opportunity for the viewer to draw in all sorts of historical references to other white men and/or boys they have grown to hate, and to make often-absurd parallels. The fact is, this is the kind of thing that the Democrats and the Press (but I repeat myself) has been engaging in for some time. Years. Many years. And looking at these events over the last 72 hours I can’t help but wonder if what we have here isn’t a press that has decided along with AOC that it’s more important to be morally correct then it is factually correct. Which of course insists that we accept their reading on what is and is not moral. This, separately is their version of morality. Joe Goebbels would be so proud.